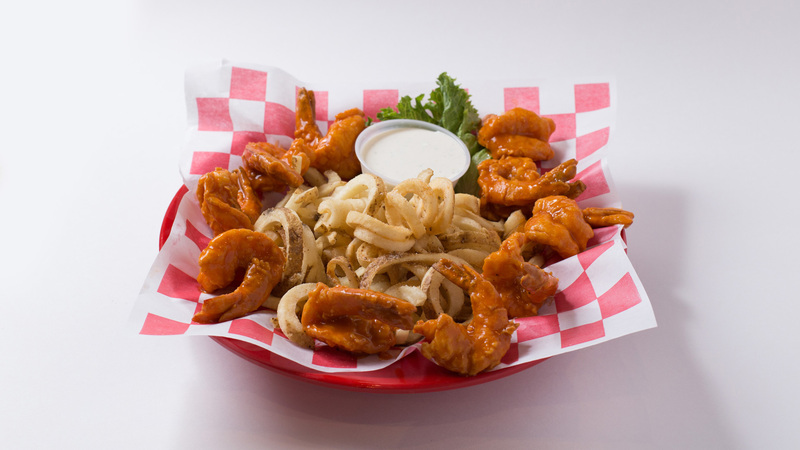 Jumbo gulf shrimp, hand breaded and deep fried to a golden brown to seal in the succulent flavor, then dipped in HOT sauce and served with ranch dressing. 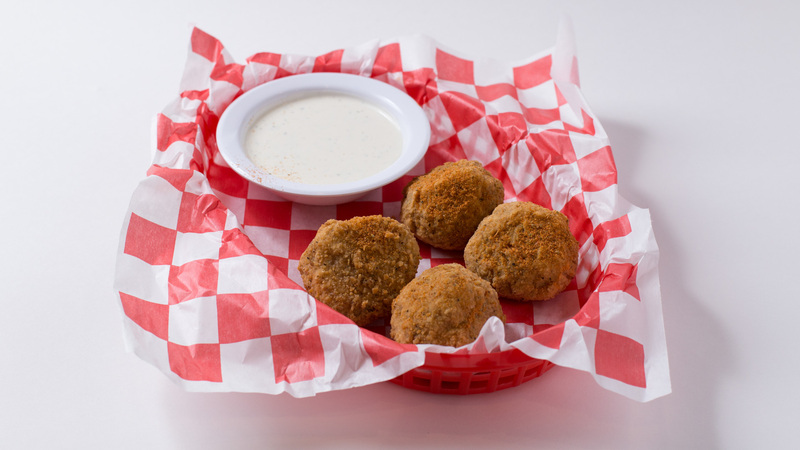 Try our freshly breaded jalapeños stuffed with cheddar cheese then deliciously deep fried. Served with ranch dressing. 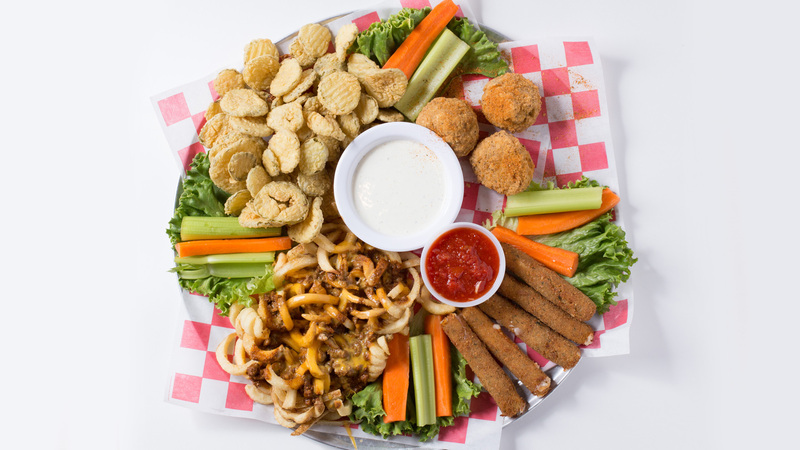 Choose from fried mushrooms, cheese sticks, pickle chips, jalapeños chips, poppers, chili cheese fries, chips and salsa, onion rings, potato skins, boudin balls. 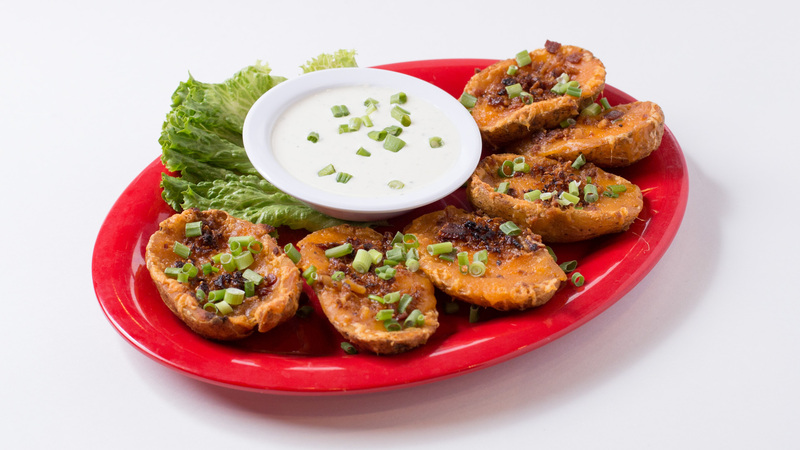 Served with, carrots, celery and your choice of blue cheese or ranch dressing. Curly fries cooked golden brown, perfectly seasoned and served hot. 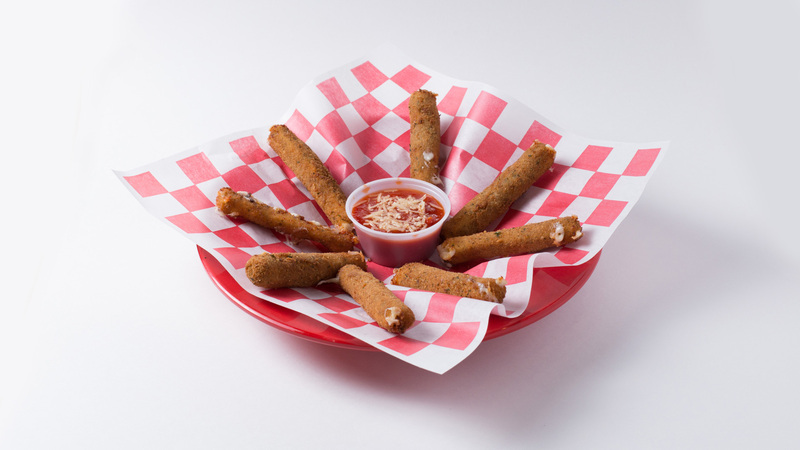 Freshly sliced and breaded mozzarella cheese, deep fried and served with your choice of marinara or ranch dressing. Freshly made to order! Choice of fried mushrooms, cauliflower, broccoli or all three, hand breaded and deep fried to perfection. 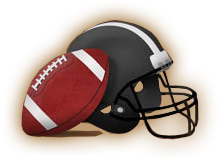 Served with a choice of ranch or horseradish dressing. A Louisiana tradition, dirty rice mixed with spicy sausage, hand breaded and deep fried. A Texas-sized order, hand breaded fresh crispy onions. 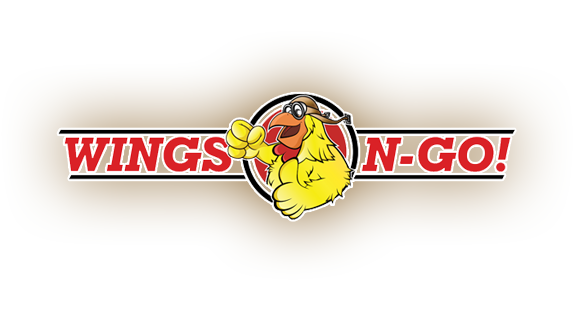 Simply the best rings ever served with a special onion ring dipping sauce.